If you like adventure games but have never seen this screen, you're probably under 30. I doubt anyone who purposely visits this blog at any stage wouldn’t have heard of King’s Quest. It may be the second PC game on Wikipedia’s Notable Graphic Adventure Games list, but it’s without question the granddaddy of the genre as a whole. I can’t even be certain which game was released first, as I can find no mention anywhere of what date Below the Root was officially released in 1984 to compare with King’s Quest’s 10th of May. Regardless, as I mentioned in my Below the Root posts, that game did have rudiments of what we now consider to be an adventure game, but they were mixed in with platform action and a small amount of role playing elements. King’s Quest on the other hand was a direct follow on from parser driven interactive fiction and text based graphic adventure games that had previously been produced by the likes of Infocom (Zork, Hitchhiker’s Guide to the Galaxy, Planetfall etc.) and Sierra themselves. Roberta Williams: The grandmother of adventure games. 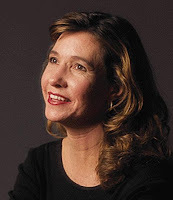 The story and general design of King’s Quest can almost solely be attributed to a woman named Roberta Williams. Along with her husband Ken, Roberta founded a company called On-Line Systems in 1979, for which the couple intended to develop and commercialise a programming language for Apple computers. Around the same time, both Roberta and Ken came across a game called Colossal Cave Adventure, widely considered the first interactive fiction adventure game. Having played their way through it, both found it to be very enjoyable, but Roberta thought the experience would be more satisfying if there were graphics to represent what was happening. Realising that computers were now advanced enough for that vision to become reality, she designed an Agatha Christie inspired detective story called Mystery House. Using the concept and two-dimensional illustrations that Roberta had produced, Ken programmed the game on his Apple II in just a few nights. The result was not the first game to use graphics, but it was certainly the first adventure game to do so, with all previous attempts being entirely text based. Mystery House: How anyone thought that was an adequate tree is probably the biggest mystery. Mystery House was a huge success, selling over 10,000 copies (making the company around $167,000), and convincing Ken that producing games would be much more profitable than developing programming languages. The couple immediately began work on more similar titles, including Mission Asteroid, The Dark Crystal (based on Jim Henson’s fantasy film) and Time Zone. But it was the second game they produced together that is most worthy of discussion when talking about the development of King’s Quest. Wizard and the Princess was not only the first adventure game to have colour graphics (Mystery House was monochrome), it’s also officially considered a prequel to the King’s Quest series itself. Taking place in the land of Serenia, which would be revisited in King’s Quest V, the player must attempt to rescue Princess Priscilla from an evil wizard named Harlin, with the reward being half of King George’s kingdom. Roberta drew on her love of fairy tales, which she’d read a lot of while growing up, to come up with the plot and visuals for the game. Around 1982, On-Line Systems was renamed to Sierra On-Line and the company moved to California. A year later they were contacted by IBM with a proposition too good to refuse. The powerhouse company wanted a new game that would show off the capabilities of their new PCjr machine, and in return would fund the entire development, royalties and advertising. Returning to the fairy tale theme, Roberta set about designing the new game, but this time her concept included animated colour graphics, a pseudo 3D-perspective where the main character was visible on screen, a new and improved text parser, and music that would make use of the PCjr’s capabilities. To achieve all of this, Sierra developed a new game engine called the Adventure Gamer Interpreter, which they would port to multiple platforms and continue to use for years to come. As it turned out, the PCjr was a total flop, but the game, titled King’s Quest, was a massive success on other operating systems. It eventually sold more than half a million copies, and would kick-start a golden age of Sierra adventure games! The original King's Quest cover art. But I’m getting way ahead of myself here! I’m here to take a trip back to Daventry, which is something I haven’t done in many years, and to see just how playable and enjoyable this undeniable classic is today. It’s worth mentioning before beginning my journey that a few aspects of the game have evolved over the years, and a couple of different versions exist also. There was a complete remake developed in 1990, as was the case with many of the early Sierra games. Just to be clear, I’ll be playing the original, albeit the slightly improved 1987 release, not the remake. 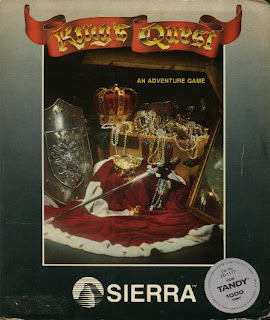 The original title of the game was just King’s Quest, with the subtitle Quest For the Crown only added in 1987 after the first couple of successful sequels had similar title formats. Finally, the back-story of the game was dramatically expanded on for later releases. The original read like this: “Daventry is suffering from recent disasters and hardship. King Edward calls his bravest knight, Sir Graham, to his throne, and tells him he has heard of three legendary treasures hidden throughout the land that would end Daventry's troubles. If Graham succeeds he will become king.” That’s all I need to know to get going. See you in Daventry! The 1990 remake looks significantly nicer, but that's not the one I'll be playing. This is one I've tried a few times but never quite got the hang of. This game was ported pretty widely, with both the original and the enhanced versions making it to the Amiga as well. No C64 version that I can tell, unless I am missing it? And I hope you don't mind the link, but for people who want to follow these games, you can get the first 3 King's Quest games from GOG as a bundle. It seems almost prescient of the universe that one of our neighbors around age 9 or something was stuck owning a PC Jr for some weird reason, and had almost nothing to do with it save play King's Quest. I have very vague memories of moving the guy around on screen being possible with a joystick, but maybe I invented that. There certainly wasn't a mouse involved. I found the puzzles impossible.